It's the end of November which means it's almost Thanksgiving. 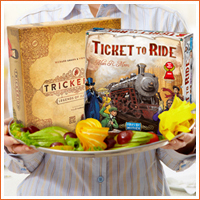 Considering how well our Halloween episode turned out, we decided to go back to that format again and run down each of our top 3 boardgames we're most thankful for. But before we get into our list, we start things off, as always, by cracking open a cold brew. We thought long and hard about what beer captures the feeling of Thanksgiving and we decided on an American classic - Samuel Adams. Welcome to episode five of the Gaming on Tap Podcast. Hard to believe we're three months in since we started! We kick things off by checking out Killer Green, a wet-hopped Double IPA out of Oregon. 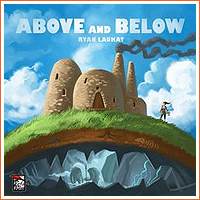 Then we talk about one of our favorite storytelling games by legendary game designer Ryan Laukat - Above and Below. We're excited to share an interview we recently had with the fine folks at TASCAM. As you may know, we exclusively use TASCAM gear for the recording and production of the Gaming on Tap Podcast. Because of that, TASCAM reached out to us and asked if we'd be interested in being a featured artist. The fact that we're a couple of newbs and don't consider ourselves "artists" at all, we were skeptical. But after asking multiple times and being assured that this wasn't some sort of prank, we agreed! The interview took place a couple weeks ago at Eight Bridges Brewing Company - a local brewery here in Livermore, California. We talked about the show, why we chose TASCAM, and some of the struggles we’ve been working through as first time podcasters. Joey Mack, and podcasting partner JDub often spend 90 minutes commuting to work, Mack in the San Francisco Bay Area and JDub in Oregon. The two friends usually call each other during their commutes to help pass the time, and most often they discuss beer and board games. Eventually, they decided to turn their conversations into a podcast, and the Gaming on Tap Podcast was born. 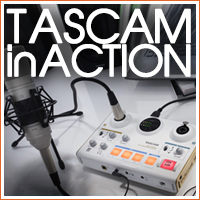 To read the entire article, please visit the official TASCAM in ACTION page. We're excited to be back for a second episode. This time we begin by pouring a glass of a delicious IPA from Three Magnets Brewing. 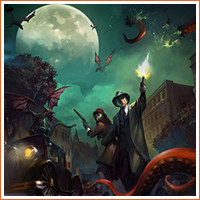 Then we bust out Lords of Waterdeep and gush about how much we love it. 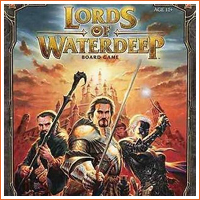 Lords of Waterdeep is an instantly classic worker-placement that's easy to learn and, more importantly, a ton of fun to play. 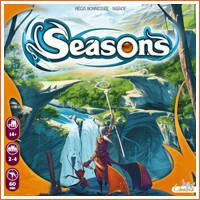 We wrap things up with some banter about what's brewing in the world of tabletop. For our first episode, we begin by pouring ourselves a tall glass of Bottomcutter - an imperial IPA from the Bale Breaker Brewing Company in Washington. 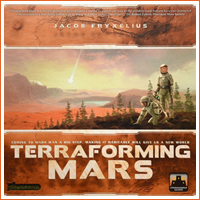 After a quick taste, we jump right in and offer our thoughts about Terraforming Mars - a card-drafting engine-builder from Stronghold Games. Last but not least, we finish things off with some short banter about what's brewing in the world of tabletop.